In May, President Obama sat down on a plastic stool in a modest, bright-lit dining spot in Hanoi. With shirt-sleeves rolled up he shared a meal with Anthony Bourdain. There was plenty to unpack about the scene. Of course, Obama&apos;s visit was part of his World Tour of America&apos;s most complicated ties overseas. But, aside from the geopolitical undertones, there was another thing of note: the two were sharing a meal of bun cha—rice vermicelli with grilled pork—which is often paired with chili, garlic, nuoc cham (fish sauce), and an abundance of crisp greens. It was a step away from the well-beaten path of pho. Gastronomes gave props to Bourdain for giving exposure to a more obscure dish (though, really, people should know bun cha by now). And it highlights the fact that, in spite of the food envy we pour onto Vietnam, our scope is still limited in the Western Hemisphere. So, in the spirit of expanding our horizons, here are is a selection of Vietnamese dishes (along with the best places to get them locally) that will feed your appreciation of the Southeast Asian country, where the weather is humid and a pot of broth is always simmering nearby. 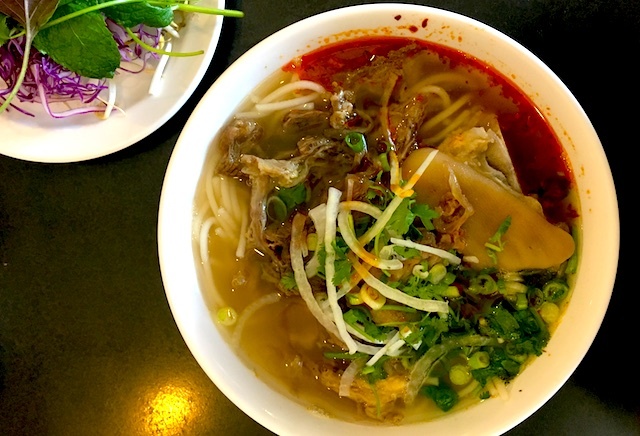 The holy trinity of Vietnamese soup noodles is comprised of: pho, bun bo hue, and bun rieu. By and far, pho reigns supreme on this culinary trifecta. But there&apos;s such thing as having too much of a good thing, and the other two dishes bring a different shade to the color scale. Bun bo hue, by way of English descriptions on menus, is sometimes referred to as a "stew." But that&apos;s misleading to Western sensibilities. While stews are heavy-set, the pork-and-beef broth in bun bo hue is thin and bears a spritely pang that stems from its mix of peppers and lemongrass. The soup also packs its fair share of heat, but the burn is unlike the blinding sear of Sichuan dishes, or the bright firecrackers of Southern hot sauce. It&apos;s more of a sweat-it-out deal—like a low-grade fever. The bowl includes slices of beef shank, cha lua (Vietnamese ham), and a big ol&apos; pork hock. Cubes of congealed pork blood are also traditionally found in this menagerie. The cubes don&apos;t so much have a taste, as much as they have a texture that pairs well with the savory broth. You might not find them in your bowl, however, as there is a concerning trend in which restaurants are skipping out on the blood (perhaps because someone got grossed out, complained, and spoiled it for everyone else). 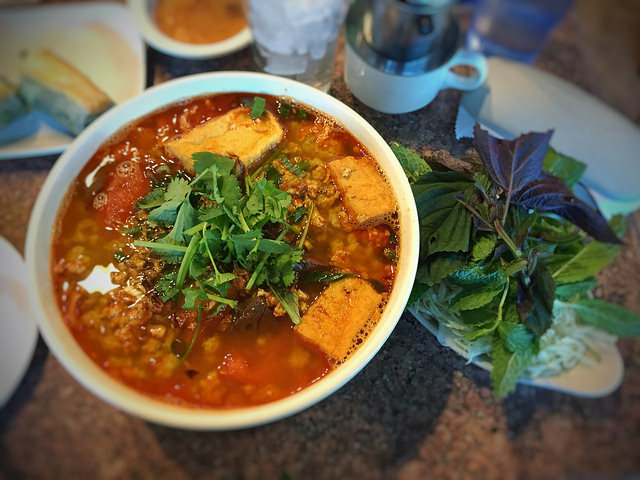 Bun rieu, while not ostensibly spicy like bun bo hue, also evokes a sense of warmth for its admirers. This is because the dish is a staple in every proper Vietnamese household, as it&apos;s relatively easy to prepare (by contrast, it could take you 12 hours to make a true-blue broth for pho). The soup is tomato-based, as evidenced by its candy-orange hue. The sour notes of the tomatoes are balanced out with a helping of savory shrimp paste. Tofu, ground crab meat, and, yes, large slices of tomatoes are commonly found in the bowl. You can also request snails if the restaurant you&apos;re eating at is respectably stocked. You can find these soup noodles at (most) places that also serve pho. But we like Saigon Flavor (208 E Valley Blvd., San Gabriel), Vietnam Restaurant (340 W Las Tunas Dr., San Gabriel), and both Golden Deli locations (815 W Las Tunas Dr., San Gabriel and 9664 Las Tunas Dr., Temple City). 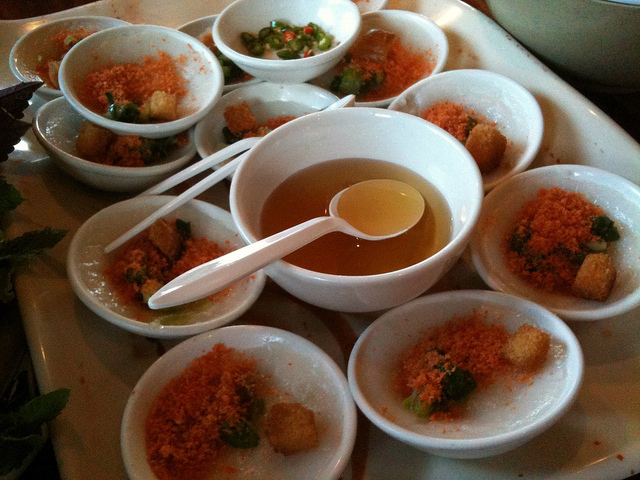 As with bun, com tam (broken rice) dishes work as a kind of single-serving buffet. First you have the meats: choose from either slices of grilled beef or a lightly marinated pork chop. From there you take a maximalist approach. Perhaps you&apos;d like to add nem nuong (grilled pork meatballs cooked with garlic and nuoc cham) or a helping of chao tom (grilled shrimp paste). And since we&apos;re running with this pork theme, we may as well throw in some bi (a mix of shredded pork skin). And what about cha gio (reminiscent of an egg roll, but made with rice paper) or cha trung (a steamed omlette made with ground pork)? All in all, not the most kosher of dishes. A few slices of cucumbers are usually present, though they do little to alleviate the sense of guilt from having gorged on so much. 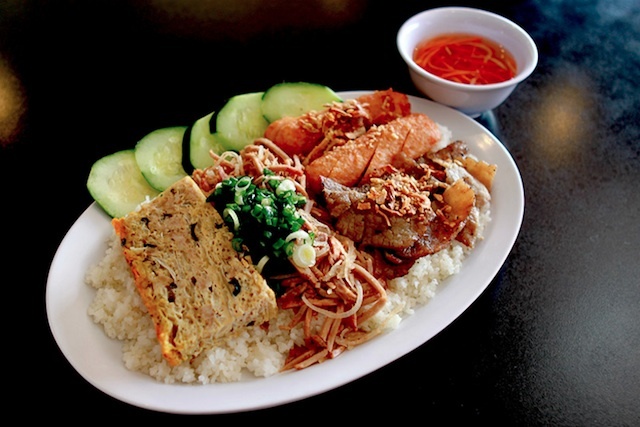 Pig out on a plate of com tam at Saigon Flavor or Com Tam Thuan Kieu (120 E Valley Blvd., San Gabriel). 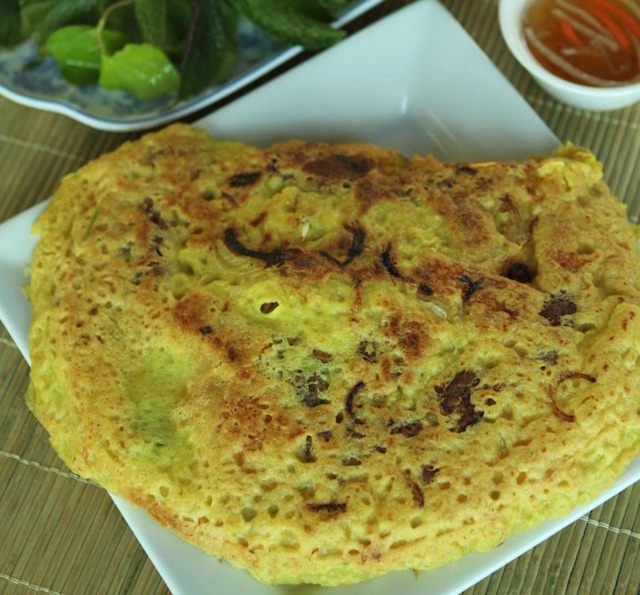 Some may hypothesize that banh xeo, which is essentially a crepe, is a byproduct of French colonialism. But, according to the food blog Indonesia Eats, the dish predates the arrival of France, and likely takes it influence from Indian cuisine. Plus it&apos;s fairly evident that banh xeo bears little resemblance to the dainty French pancakes that your au pair used to buy you after oboe practice. Rather, banh xeo is a complete meal unto itself, as the crepe is folded over a generous mound of shrimp, sliced pork shoulder, bean sprouts, and mint. This is your dish if you have an ongoing love affair with fish sauce—pour liberally to get a faint sogginess in the crepe, which gives a nice contrast to the crisp, slightly-burnt exterior. You can find yourself a nice banh xeo at Saigon Eden (980 E Las Tunas Dr., San Gabriel, CA). By all accounts, catfish don&apos;t look especially delicious. They have that weird, Vincent Price mustache, and they resemble a Christmas stocking with a dorsal fin stuck on it. But they are tasty. The meat is soft and pliable—not stringy or flaky—and the bones are easily picked out. While you might think of Cajun cuisine when it comes to catfish, it&apos;s hard to beat the Vietnamese variations on this bottom-feeder. Ca kho to is a perennial family favorite. 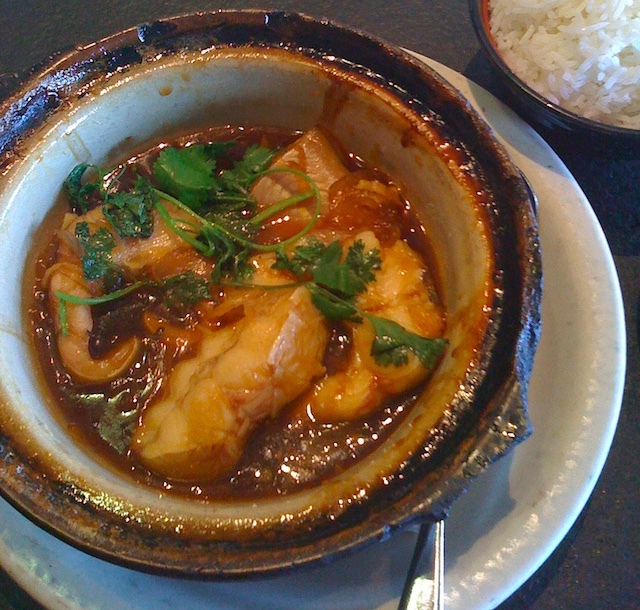 Braised in a clay pot with caramel syrup, the fish is equal parts sweet and savory. The flavoring is so bright, in fact, that it&apos;s necessary to pair it with plain, white rice. 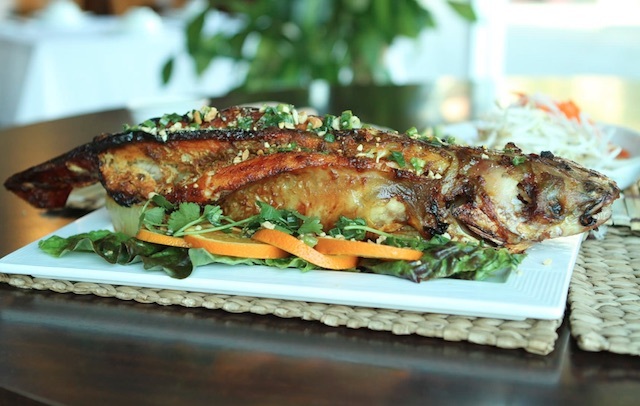 Speaking of a family affair, it&apos;s best to call in the calvary when eating ca dut lo hau giang (baked catfish). The dish is comprised of a whole catfish, baked until its skin is golden brown, and garnished with orange slices and peanut crumble. The added twist is that the fish is commonly eaten as spring rolls. Your table is supplied with the fixings—rice paper, bun (rice vermicelli), pickled carrots and daikon, tamarind sauce, and leafy greens of all stripes. You scoop up the catfish, settle it onto the rice paper, and set to making your own rolls. Your first couple attempts will, very probably, end up a laughable mess. But your persistence will be paid in full. Our pick for ca kho to is Pho Nguyen Hoang (401 W Valley Blvd., San Gabriel). And you can get ca dut lo hau giang at either Phong Dinh (107 E Valley Blvd., San Gabriel) or Thien An (8837 Valley Blvd., Rosemead). About one-half of Vietnam is bordered by the South China Sea, so it goes without saying that seafood features as a prominent part of the daily cuisine. Some restaurants—like Santa Ana&apos;s OC & Lau—pride themselves on dishing out a creature-feature of underwater habitants. The billing at OC & Lau features razor clams and king scallops, as well as the usual mussels, squids and lobsters. It should be noted that, obviously, the weather in Vietnam can get sultry, so no one out there wants to labor over a whole, steaming, three-pound, fresh-out-the-pot Maine lobster; the slant in Vietnamese seafood, then, is to serve everything in piecemeal fashion (the lobster is chopped up) and to liven up the dishes with the technicolor tang of lime, garlic chili, and an assortment of marinades and condiments. Get your seafood fix at OC & Lau (10130 Garden Grove Blvd., Garden Grove) and Tram Chim Fresh Seafood (9455 Bolsa Ave., Westminster). Banh beo, more of an appetizer than a proper meal, is a little maddening. For one thing it&apos;s hard to explain its appeal, because they&apos;re just these small lily pads of steamed rice cake, often sprinkled with a dash of minced shrimp, and sometimes ornamented with pepper shaving or a cute, airy crouton. The other thing: you can eat about fifty and still feel as hungry as you had in the beginning. But banh beo, especially when you get it warm and fresh—as you do at Alhambra&apos;s Nem Nuong Khanh Hoa—is utterly addictive. And, perhaps more so that any other Vietnamese dish, it highlights the mysterious, all-encompassing appeal of nuoc cham. Banh beo feels naked without the fish sauce, but, when you slather it on, there comes a small perfection that&apos;s easy to take for granted. 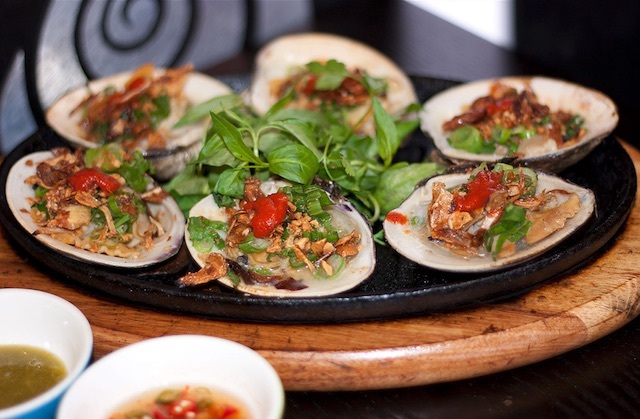 You can find bahn beo at Nem Nuong Khanh Hoa (1700 W Valley Blvd, Alhambra).